This extra cheesy garlic bread is pretty much soul saving. I mean.... look at it! As much as I love homemade bread, this time I bought a loaf of crusty French bread for this cheesy garlic bread because seriously, this bread is all about the cheese. Today is National Cheese Lovers Day, not that I need a national holiday to make a dish with cheese. However, the holiday does call for the obligatory cheese pull shot, amirite? 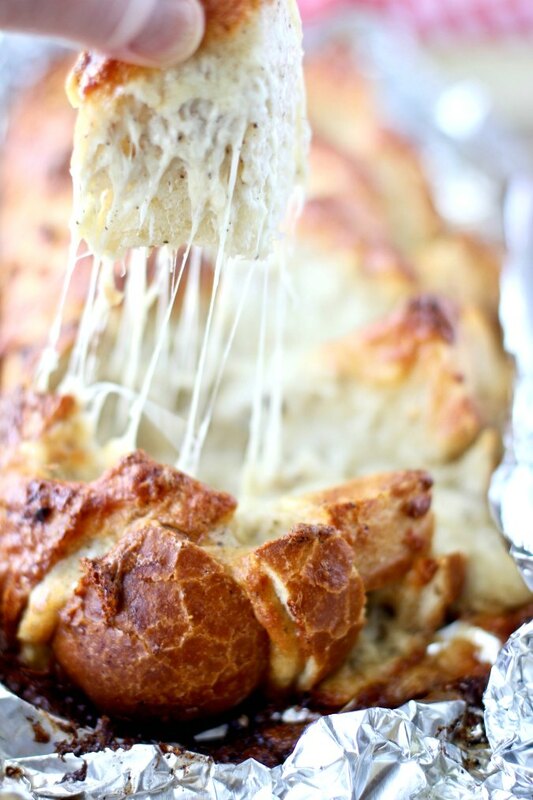 This cheesy garlic bread is loaded with mozzarella cheese, butter, mayo, Parmigiano-Reggiano, and tons of garlic. It's seasoned with crushed red pepper and black pepper, my two favorite seasoning ingredients. I actually keep both in a desk drawer in my office for seasoning emergencies (along with a bottle of Tapatio). How do you make cheesy garlic bread? To make this bread, you will need to mix up a batch of mozzarella cheese, butter, mayonnaise, Parmesan cheese, garlic, some crushed red pepper, a little bit of salt, and some freshly ground black pepper. Next, you cut a one pound loaf of bread with a cross-hatch pattern and stuff the bread full of the cheesy mixture. It may seem like there is way more cheese than needed, but trust me, it will all be incorporated into the bread. Once you pull this out of the oven, stand back and watch it disappear. You might not actually be able to get the this onto the table before it's gone. Serve this extra cheesy garlic bread straight from the oven. If you have any leftovers (highly doubtful), wrap them in foil and refrigerate. Reheat the leftovers in the oven or toaster oven, just like pizza. This cheesy bread is also excellent dipped in hot pizza or spaghetti sauce. Combine the cheeses, butter, mayonnaise, garlic, red pepper flakes, salt, and pepper. Cut the bread in a cross-hatch pattern with the cuts about 1 1/2 inches apart. Be sure to not cut all the way through to the bottom. Spray a sheet of foil with nonstick spray and place the bread onto the foil. Stuff the cheese mixture into the all of the crevices of the loaf of bread. I recommend using your hand for this. If you have any leftover cheese mixture, rub it over the top of the bread. Spray another piece of foil with nonstick spray, and place it over the top of the bread. Crimp the two pieces of foil together. Place the bread in the oven and bake for 20 minutes. Remove the top foil piece, reduce the oven temperature to 375 degrees F and bake the bread for an additional 15 to 20 minutes, until the top is browned and totally melty. This recipe was adapted from the book Cravings by Chrissy Teigen. Yes, that Chrissy Teigen, the gorgeous and funny girl married to John Legend. You need to check out the book. That cheese shot! Garlic bread is my downfall when it comes to bread...delish! Ha ha. My work is done. I love that you keep crushed red pepper in your desk for emergencies! This looks outstanding. Not gonna lie - I scrolled multiple times to see those cheese pull shots! YUM. 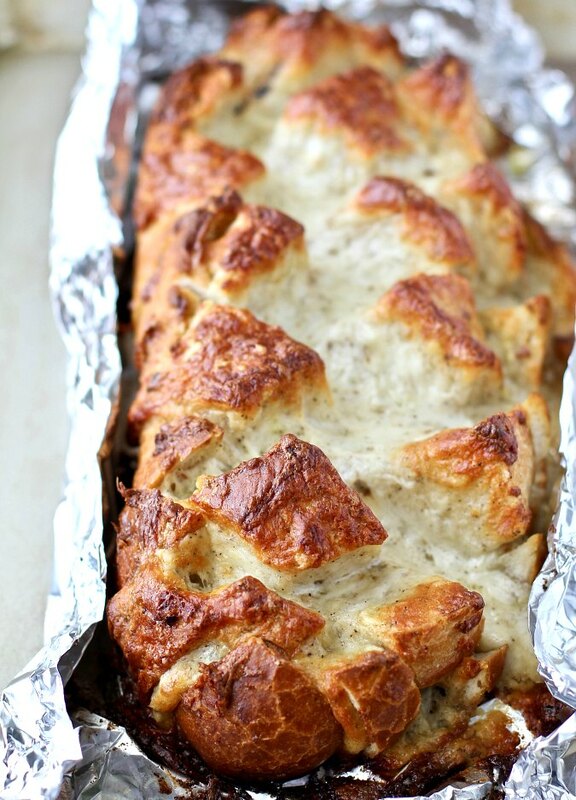 I love cheesy garlic bread, so I'm for SURE going to love extra cheesy garlic bread! I need this in my life every single day! 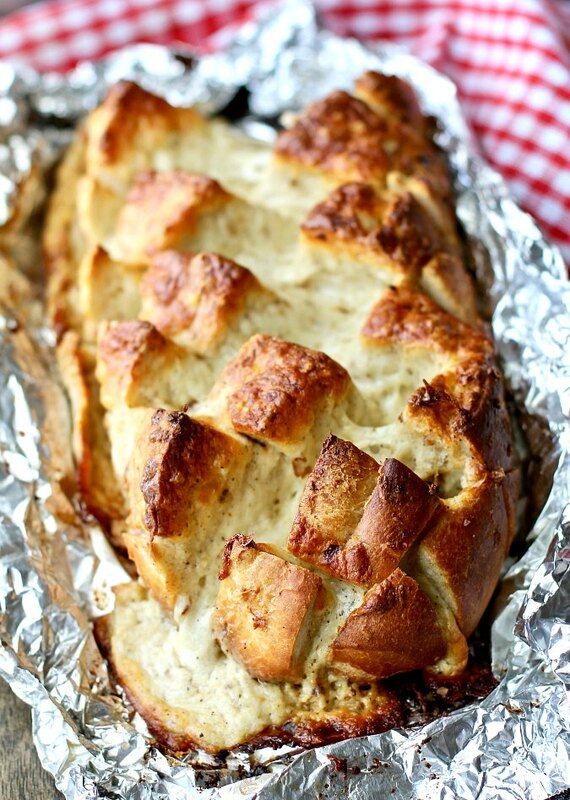 That cheesy goodness has me drooling and I could easily sit and eat this entire loaf by myself! That was definitely an issue for me! Oh my goodness. This looks amazing! I could eat this all day long! How delicious! That cheese looks so good! 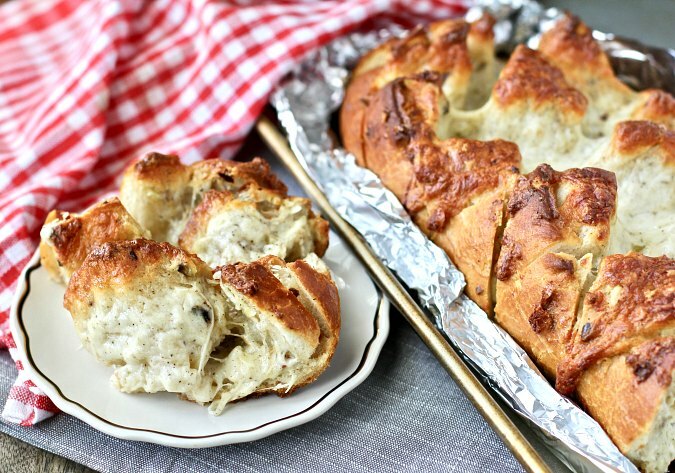 This is so gooey and perfect with a pasta dish or all alone! I can't wait to try it! 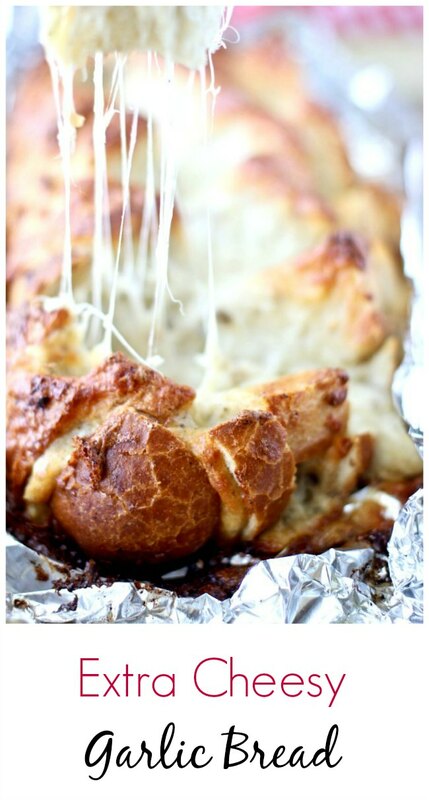 Look at that gorgeous loaf of cheesy bread...all the yummy cheese pulls going on!!! My first cheese pull shot!